BERLIN -- Auto industry officials and politicians in Germany have agreed to clean up diesel vehicles through software updates as part of a rescue plan for avoiding diesel bans in cities, industry and government sources said on Friday. The costs of the rescue plan amount to under 2 billion ($2.33 billion) euros for cars in Germany, with the auto industry agreeing to shoulder the expense of about 100 euros per car, the sources said. 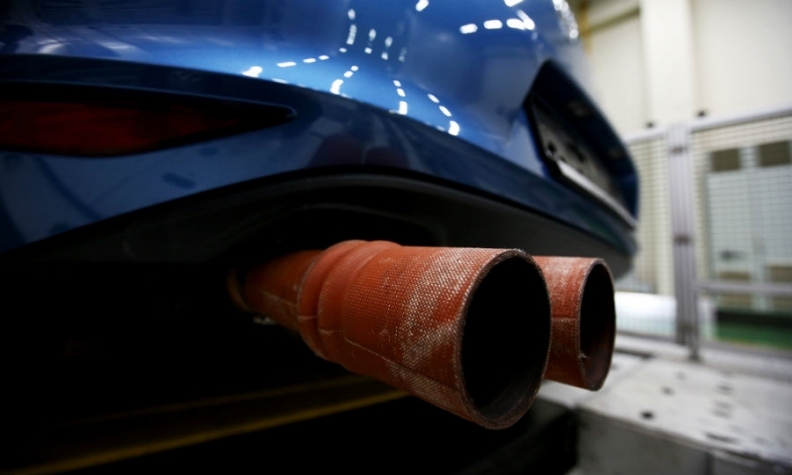 After Volkswagen Group confessed to emissions-test cheating in 2015, the entire auto industry has come under scrutiny for producing nitrogen oxide emissions in diesel cars, which are blamed for causing respiratory disease. A committee will be set up to measure the impact of updating diesel cars on individual communities and cities, with a view to averting bans of diesel cars, the sources said. Auto industry executives and German Transport Minister Alexander Dobrindt are due to discuss diesel pollution at a summit on August 2. Audi, a division of Volkswagen Group, said it would update engine software on up to 850,000 diesel cars. The refit of six and eight cylinder engines will be free of charge for all customers, Audi said. Audi's plan follows a similar move by Daimler last week, which announced it would spend 220 million euros updating over 3 million European Mercedes-Benz cars with diesel engines.